It’s Thursday May 22, 2013 and I’m on a dream vacation to San Francisco, birthplace of the great Harvey Milk. I’m about to leave the Aquarium of the Bay after spending 15 minutes–quite the disappointment. 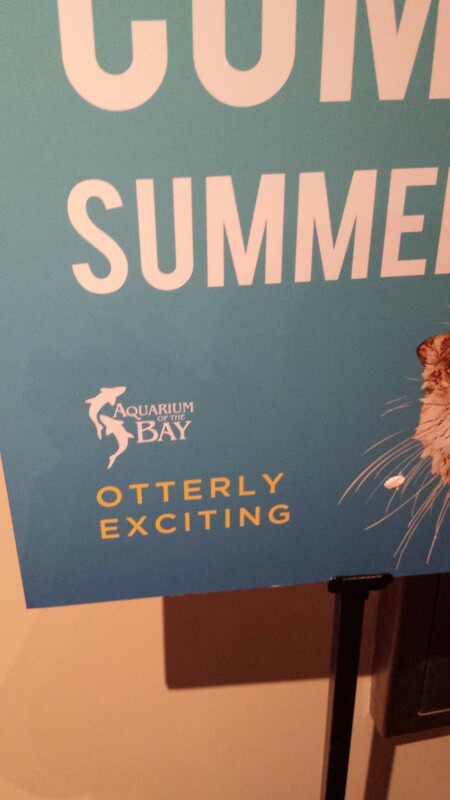 This bald fella stands about five feet from an advertisement for the upcoming Sea Otters exhibit. He stares at it as if trying to figure out a puzzle, tilts his head sideways, and bites his fingernails. After what seems like 10 minutes, his eyes light up and his hand comes out of his mouth. His right index finger extends knowingly. Others ignore the pun completely; it’s not worth the effort. Advertisers have an affinity for puns. Entire sites are dedicated to the puns of advertising, like this Tumblr. And there’s been a lot of talk about some truly superb ads lately that have used puns. In my last blog post I highlighted Ship My Pants; it’s no secret that I love that commercial. And it’s also no secret that I am just generally a fan of puns–even bad ones. It’s all good pun. But advertising is a form of sales. If the pun befuddles the message that the ad is trying to convey, that’s wasted dollars. A bad pun might be hilarious to the copywriter creating it, but that doesn’t mean it’s going to sell diapers. A good pun, one that most of society can easily get, can make a campaign. A clever, timely pun shows that a brand is tuned into the pulse of culture. So, advertising, you have my permission to pun (Advertising: “Thanks, Jonathan!”). Please, please, just don’t be lazy about it. Mustard up the courage to put your best foot forward, pepper the ads with your wit, and relish in the reward. Four QR codes across a subway track and modern day sexist advertising: we still need to talk. Guy falls in love, guy struggles to get girl, guy gets girl. That’s how most Hollywood romance stories go. But it gets more complicated when a few dozen different actors, some of them female, play the same guy. That’s the concept behind The Beauty Inside, an interactive social film funded by Intel and Toshiba. Here’s the premise: Every time a guy named Alex goes to sleep, he wakes up a completely new person. He could become any ethnicity, any gender, any body type, but he’s still essentially the same person on the inside. 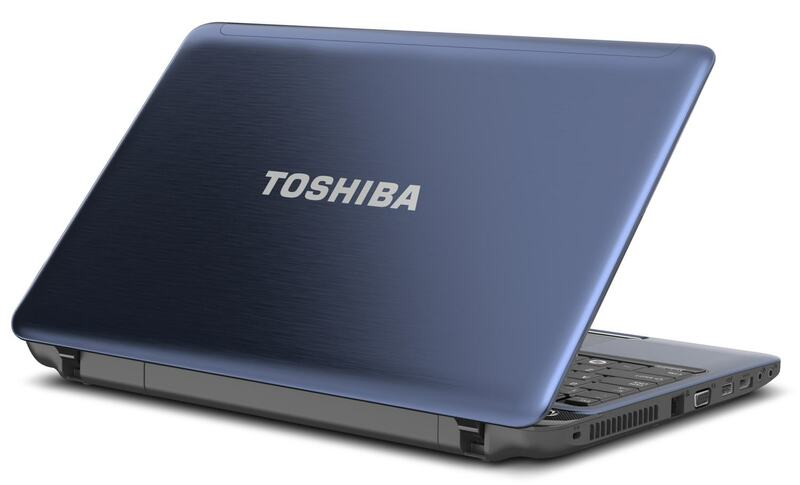 Alex uses his Toshiba laptop as the means to record his daily transformations and subsequent struggles to connect with the outside world. What makes Intel and Toshiba’s The Beauty Inside special is that it used social media to engage an audience like no other interactive film before it. The Beauty Inside was the first film to feature both everyday people and Hollywood actors as leads. 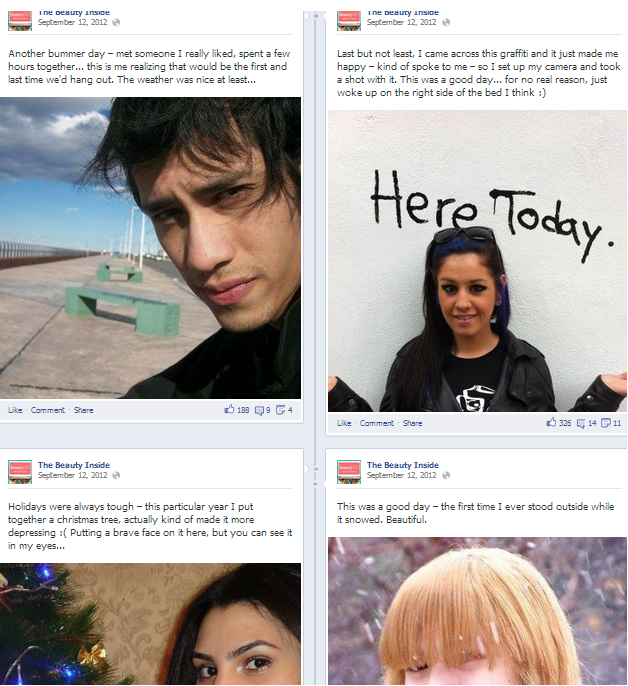 Intel and Toshiba asked people to audition for the part of Alex by posting videos and pictures of themselves on the film’s Facebook page. The winners were featured either in the film or on the film’s timeline. Not only was the audience a part of The Beauty Inside, they were the film. They shaped who Alex would become on a daily basis. By cheering for Alex, the audience was essentially cheering for themselves. This created a deep participatory experience that went beyond product placement. The Beauty Inside resonates because it doesn’t tell youth how to look or how to feel. You want to be yourself. Okay. Toshiba & Intel understand. Be yourself. Be real. In turn, we’ll put you in a movie. That says a whole lot, without saying a whole lot. The Beauty Inside is the natural evolution of advertainment like BMW Film’s seminal The Hire. Released in 2001, The Hire succeeded where traditional 30-second spots rarely could in that it drove millions of consumers to seek it out, rather than avoid it like the plague. Here was a fiery, entertaining film that openly had a brand as hero, and millions of consumers still wanted to see it. Following in the footsteps of The Hire, Intel and Toshiba created The Beauty Inside because they struggle to take market share from youth-oriented companies like Apple. Intel and Toshiba wanted to find a way to show that they are still relevant to youth. Through research they noticed that youth use laptops for more than just work; they use them to be entertained. Armed with this insight, they created social films, a combination of gaming, social media, and movies. What better way to stay relevant than to meet youth where they spend time?